When Jerry Butler was growing up in the segregated South, he thought he was going to be the first African American artist. Only later did he learn about the long and beautiful tradition that preceded him. 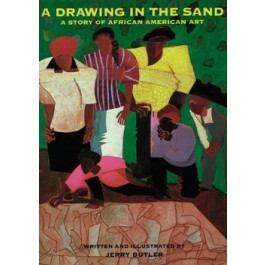 In A Drawing in the Sand, Butler combines the story of his own artistic journey with the struggles and triumphs of important black American artists such as Henry O. Tanner, Edward Bannister, Augusta Savage, and Jacob Lawrence. Part history book, part art book, part memoir, A Drawing in the Sand is a unique and important addition to any study of American art or history. Full-color illustrations, color and black and white photographs; jacketed, smyth-sewn, reinforced hardcover. 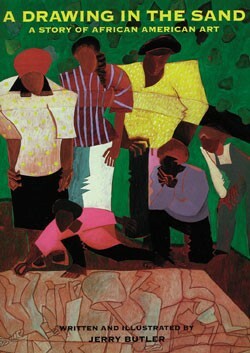 Selected as one of Smithsonian’s "Notable Books for Children, 1998"